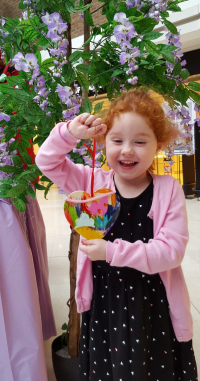 To celebrate Mother’s Day this year over 280 children came to The Ashley Centre on Saturday 5 March to take part in a free craft workshop to make a beautiful gift for their mothers. Children decorated wooden hearts or picture frames to give to their mums on Sunday and The Ashley Centre staff were very impressed with the level of artistic talent on display. There will be more free crafts in The Ashley Centre this Easter! 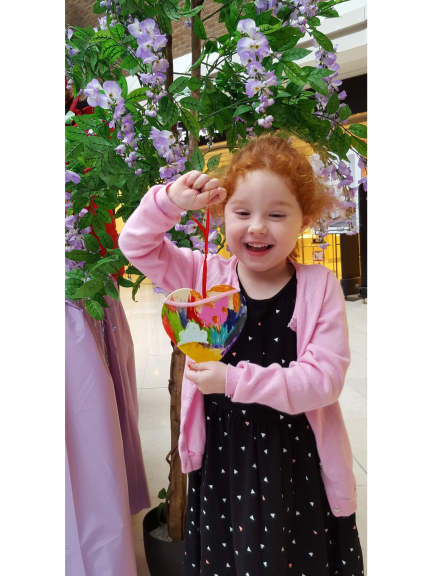 From 28 March until 1 April outside House of Fraser from 10am-4pm (except Easter Monday 10.30am -4.30pm) each day there will be a different craft activity based on the theme of Spring Stories. On Monday children can make Mulan’s Dragon Spiral, Tuesday it will be Snow White’s Bird Food Cakes, Wednesday’s craft will be Peter Pan’s Lost Boys Lanterns, on Thursday children can make Jack and the Beanstalk Farm Animals and on Friday there will be Aladdin’s Sand Art. There will also be a chance to take part in the giant big art which will be displayed in The Ashley Centre all week.